I have recently been on the hunt for a new black everyday bag as I have worn my poor Michael Kors practically to death, and while I'd been eyeing a few Rocco's on Poshmark, there was nothing I was ready to splurge for...until this baby came along. Black? Check! Goes with everything? Check! This bag was also hardly worn, tags still on and almost 40% off retail, I just HAD to have it. It's one of the first investment pieces that I treated myself to, so to say I am a happy girl is a total understatement. To make up for my high credit card bill new addition, I have been slowly adding new items to Poshmark, so be sure to shop my closet and see what I'm selling! More listings coming this weekend too! Off to battle the New York cold, I am here for a quick trip before heading home tomorrow! Brr! GREAT investment piece. That'll be with you for a long time. Love this look - that rich red near your face is so pretty. See you later! Love everything Alexander Wang! Obsessed! Oh hello, lover! 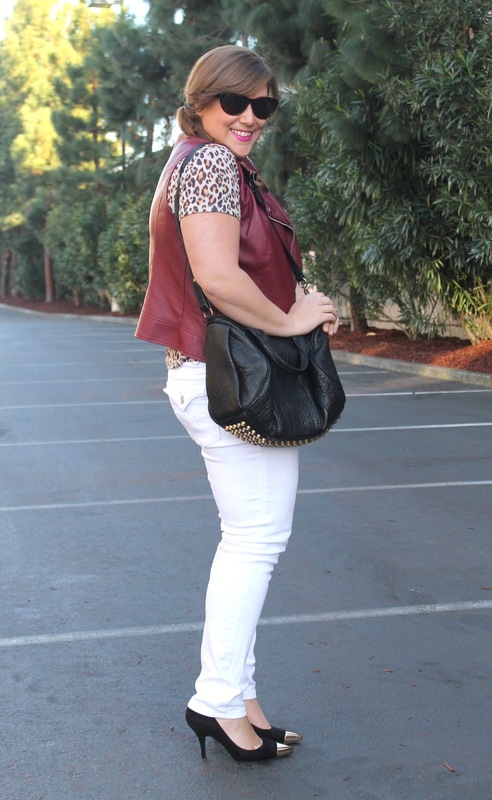 Every girl needs a classic bag, looks great on you, and LOVE that vest- enjoy NYC. Hopefully we can hang before FABB, let me know if your'e still up for Saturday day. 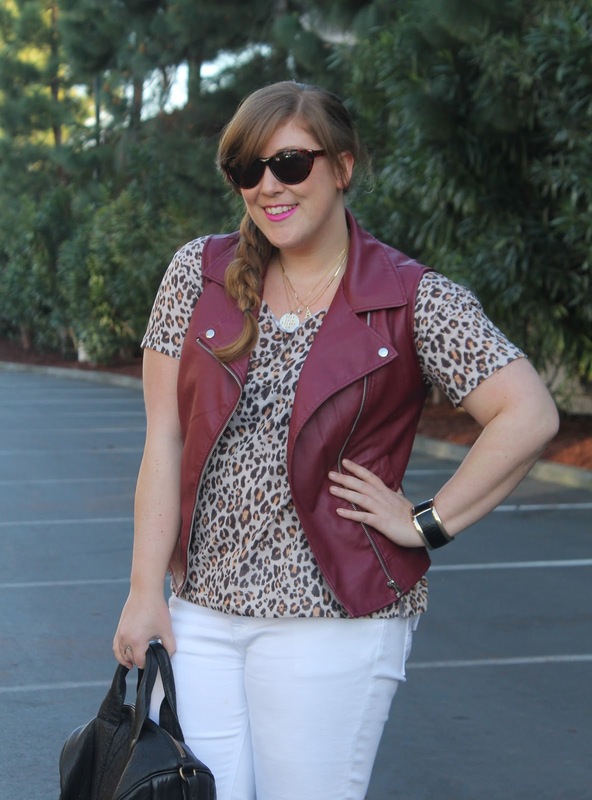 Cute leopard tee! 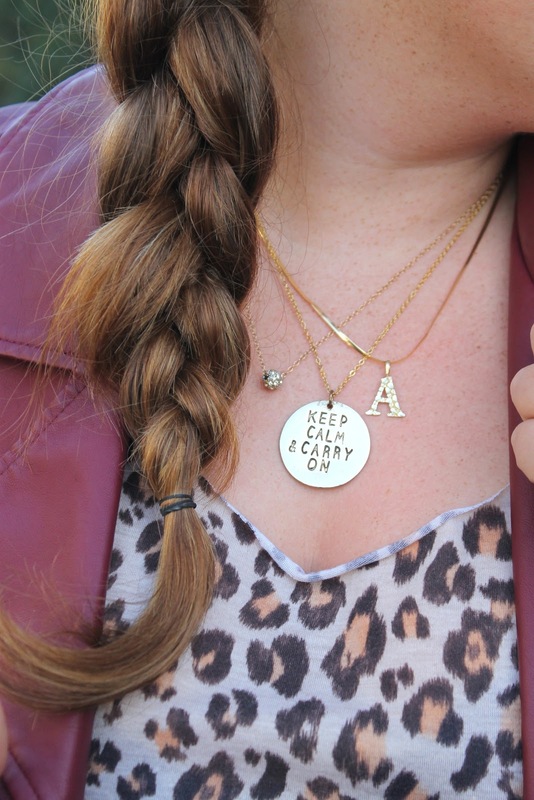 I love all of your layered necklaces! 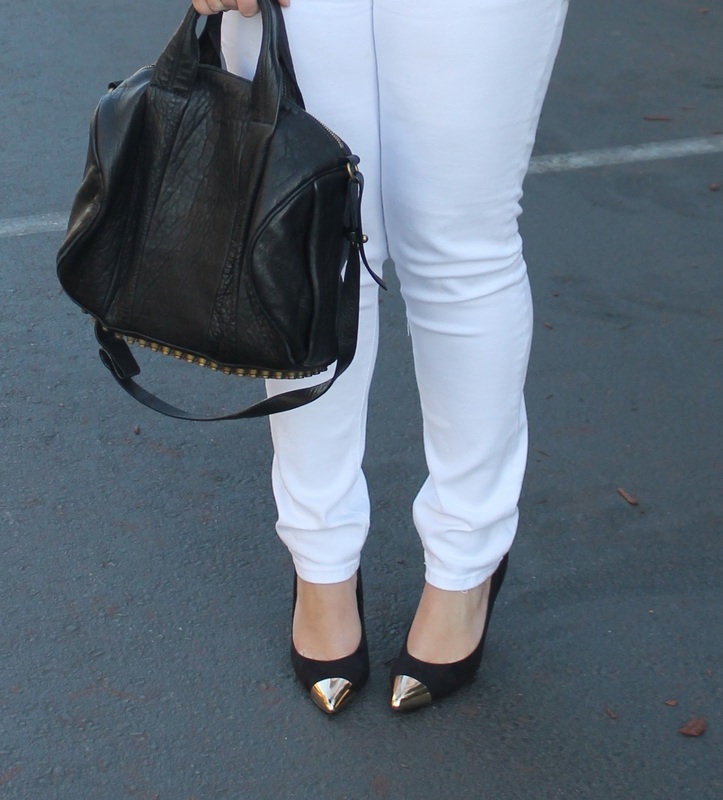 This is such a great outfit! I love your hair! I need to learn to do more with mine :) and find a new vest similar to yours. Looking good lady!